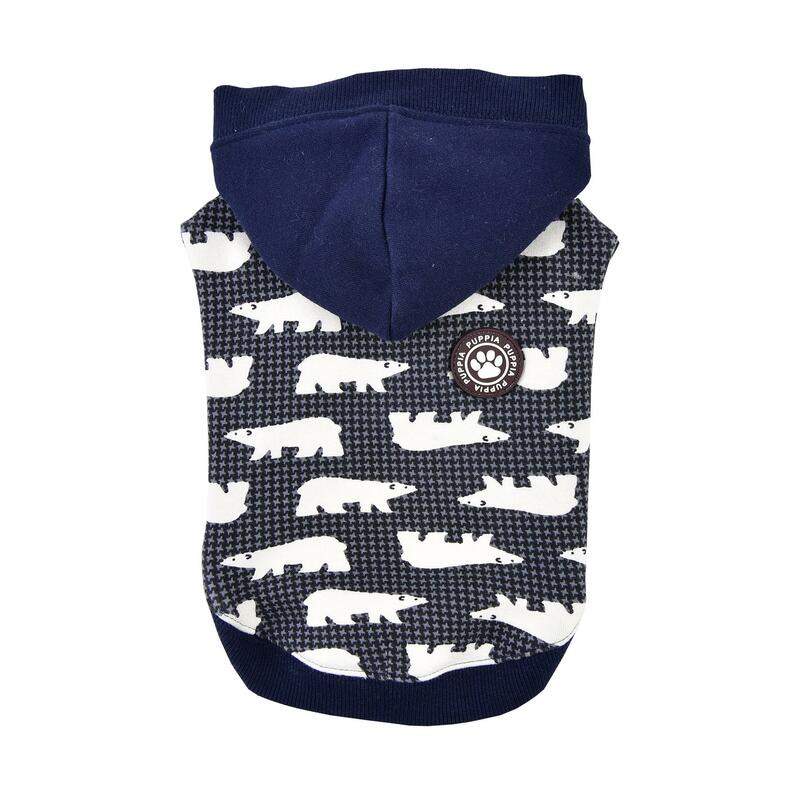 Your dog will look and feel so cozy in this Beale Hooded Dog Shirt By Puppia in navy! 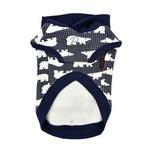 This hooded shirt is so adorable with its checkered print and cute white bear print. 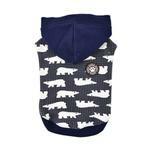 Material is 95% cotton, 5% spandex on the body and 70% cotton, 30% polyester on the hood. PUPPIA SMART TAG pendant(QR Code only) is included to keep your pet in the social stream and safe. Also available in pink, sold separately. Baxter Boo is my favorite site. You get personal help while browsing and a quick delivery if you place an order. Awwwwwwwesome!!!!!!!!!!!!!!! !